The first Japanese consumer co-op was established at the end of the 19th century on the model of the Rochdale Pioneers Co-operative. In the late 1940s, consumer co-ops spread across the country to deal with the poor livelihoods of citizens after the Second World War. There was a time when consumer co-ops faced difficulties. However, they expanded their business into the areas of supermarkets and home delivery services to protect consumers from inflation and meeting their requirements regarding food safety during Japan's rapid economic growth in the 1960s and 70s. Today, consumer co-ops have 28 million members nationwide with a total turnover of over three trillion yen. The Japanese Co-operative Alliance, the predecessor of JCCU, was established. Consumers' Livelihood Co-operative Society Law was enacted. 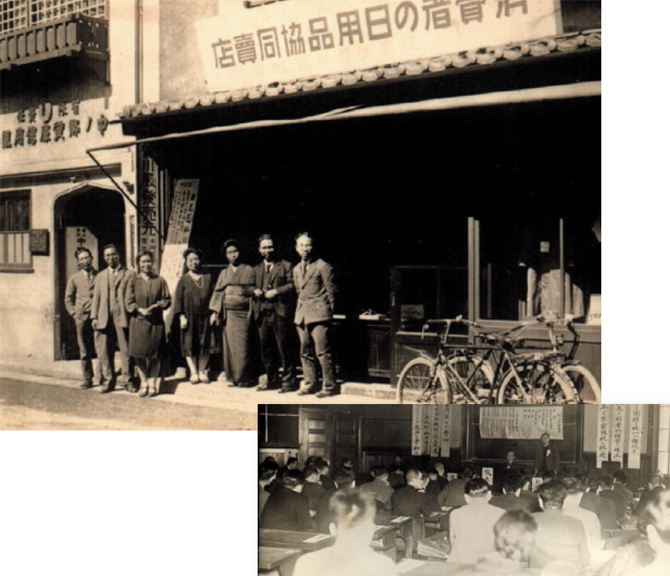 Japanese Consumers' Co-operative Union (JCCU) was established. Japan Consumer Cooperative Business Union was established as a joint purchase business federation of consumer co-ops. JCCU launched its first CO·OP Brand Product, "CO·OP Butter". Consumer co-ops nationwide started joint buying group delivery. Consumer co-ops grew rapidly. Joint buying business and supermarket-style stores expanded in number. JCCU launched its first insurance product as a CO·OP Brand Product. Membership of consumer co-ops exceeded 10 million. The 30th ICA General Assembly was held in Tokyo. JCCU and its member co-ops took action to support the victims of the Great Hanshin-Awaji Earthquake. "The Ideal of Japanese Consumer Co-ops Movement for the 21st Century" was adopted. Membership of consumer co-ops exceeded 20 million. Consumers' Livelihood Co-operative Society Law was amended, and Consumer Cooperatives Act was enforced the following year. Japan CO-OP Insurance Consumers' Co-operative Federation (JCIF) was established. Japanese Health and Welfare Co-operative Federation (Hew CO-OP Japan) became independent from JCCU. JCCU and its member co-ops took action to support the victims of the Great East Japan Earthquake. JCCU and its member co-ops took action to support the victims of the 2016 Kumamoto Earthquake. Toyohiko Kagawa dedicated his whole life to the development of co-operative movements. He always stood on the front-line of social reform movements such as the movements for labors, farmers and universal elections. He was always a pioneer. Kagawa was born in Kobe, in 1888. Studied in Tokushima junior-high school, Meiji Gakuin University, and Kobe Theological Seminary. Then he continued his education in Princeton University, the USA, and Princeton Theological Seminary. In 1920, he established the Purchase Association Kyoeki-sha in Osaka. In 1921, he established Kobe Consumer Cooperative and Nada Purchase Association (later they were merged and became Co-op Kobe) in Kobe. He also established many other co-ops such as the Kyoto Family Consumer Cooperative, Tokyo Students Consumer Cooperative and a medical service user cooperative, the predecessor of the Tokyo Medical Cooperative. In November 1945, just after the end of the war, he organized the Japanese Co-operative Alliance. 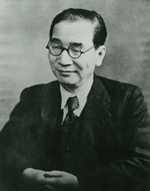 In 1951, he founded Japanese Consumers' Co-operative Union. Until his death in 1960 at the age of 72, he had served as the President.